Jonathon Addison was bailed from prison by Barett, the uncle of the man he has killed. He will be granted freedom only if Jonathon succeeds in his mission: to go to Japan, get to know and kill Takezaki Kazuhiro. 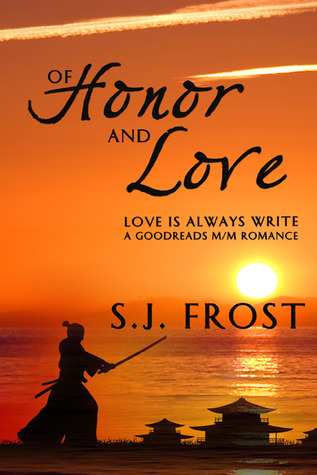 But when Lord Takezaki was nowhere near what he had expected, Jonathon drops everything and decides the he just wants to get to know the samurai. This is a short historical story detailing Jonathon’s travel to Japan. I loved the way the author weaved the image of old Japan in the story plus the political situation of the era makes me think that he has done his research well enough to describe the little things about the country. The pacing of events was balanced and was nowhere near the rushed feeling you normally see in short stories. The introduction of characters and the way they had gotten to know each other personally and sexually was timed just right. But through all the good and sensual things that I have read, I clearly am still not a fan of erotica. Better than 50 Shades of Gray but still not something I totally enjoyed. This entry was posted in Read It and tagged adult fiction, erotica, historical fiction, romance, short story. Bookmark the permalink.